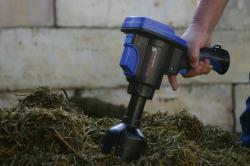 The Moisture Tracker is a hand-held, Near-Infra-Red (NIR) scanning device, which rapidly measures the dry matter and moisture content of animal feeds and forages. Order today, directly from Digi-Star. Product will ship within 10 days. 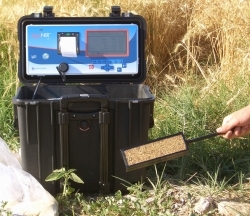 A portable NIR analyzer for forages and grains that quantifies, in seconds, the percentage of Humidity or Moisture (Dry matter), Starch, Crude Portein, ADF, NDF, Ash and Crude Fat of the plant material being analyzed.